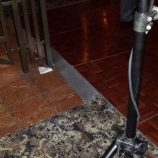 HomeMichiganHave you ever been to a wedding where the guests danced so hard that the dance floor actually moved and buckled? 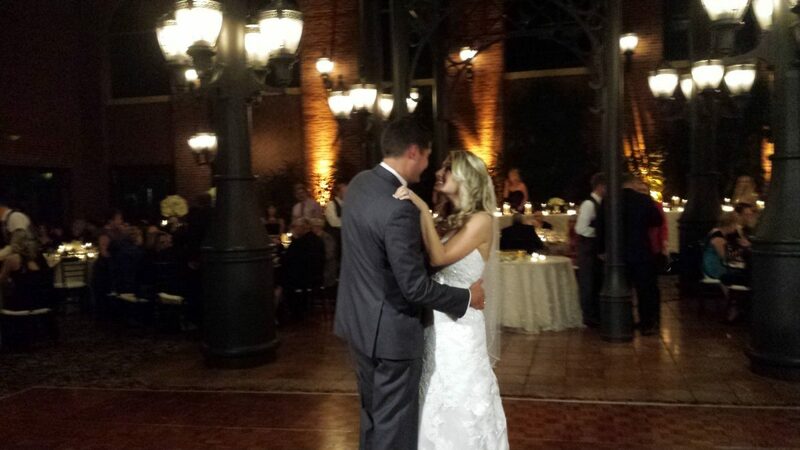 It was Friday, October 3, 2014 when Katie and Brett Farver tied the knot! Their wedding took place at The Inn at John’s stunning Atrium. There was indeed rain on their wedding day… But instead of worrying about the climate, the couple embraced the cold, dreary weather and took it as a sign of good luck. The party began the moment the cocktail hour started. Brett, the groom, studied Business at Michigan State and therefore is a HUGE State fan. 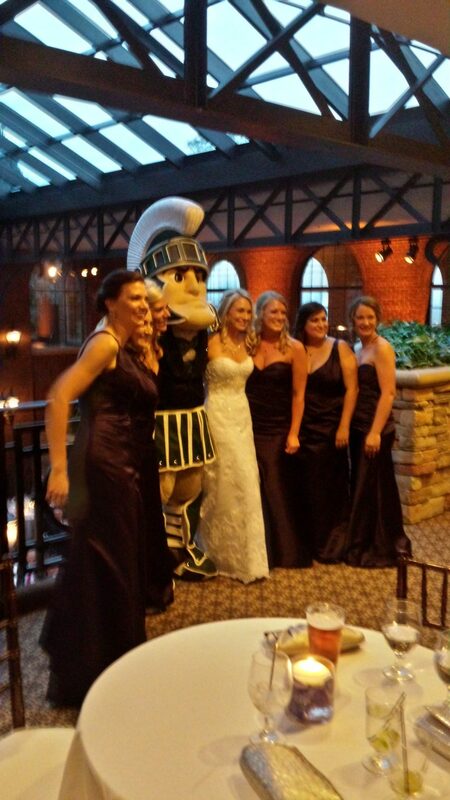 So who better to show up at their cocktail hour than the one and only Michigan State mascot, Sparty; whom was a surprise for the groom from his bride. To get the reception started, Sparty was the first of the bridal party to be introduced followed by the bride and groom’s grand entrance. The energy after introductions was extremely high and full of excitement and that energy continued to exceed the DJ’s expectations of a Friday night wedding. Fletcher said repeatedly, “the crowd was so energized ~ it was awesome”. Just when Fletcher thought there was no way he could get another person on the dance floor, he played a dub-step track and the dance floor EXPLODED!! 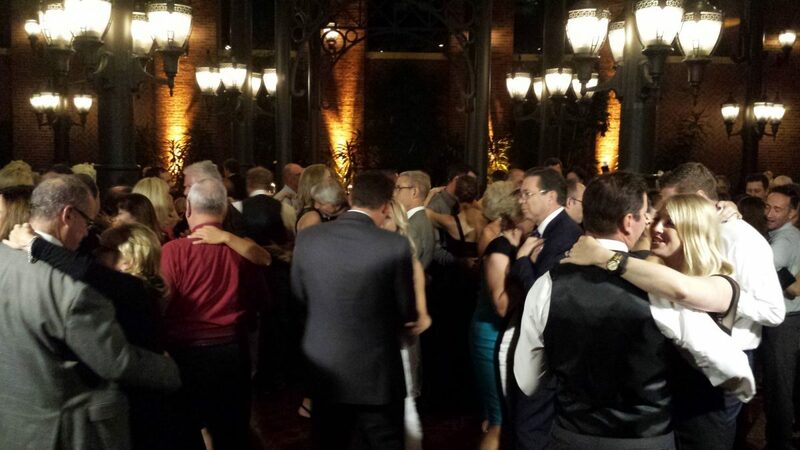 How important is dancing at your wedding? 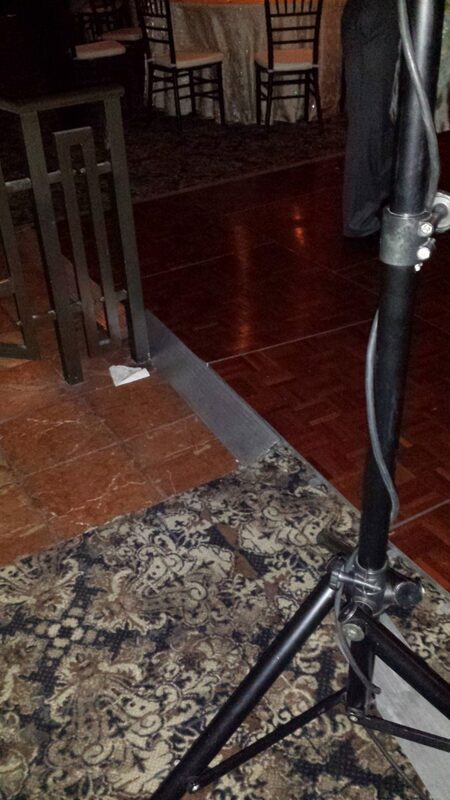 Have you ever danced so hard at a wedding that when you left you were dripping sweat?